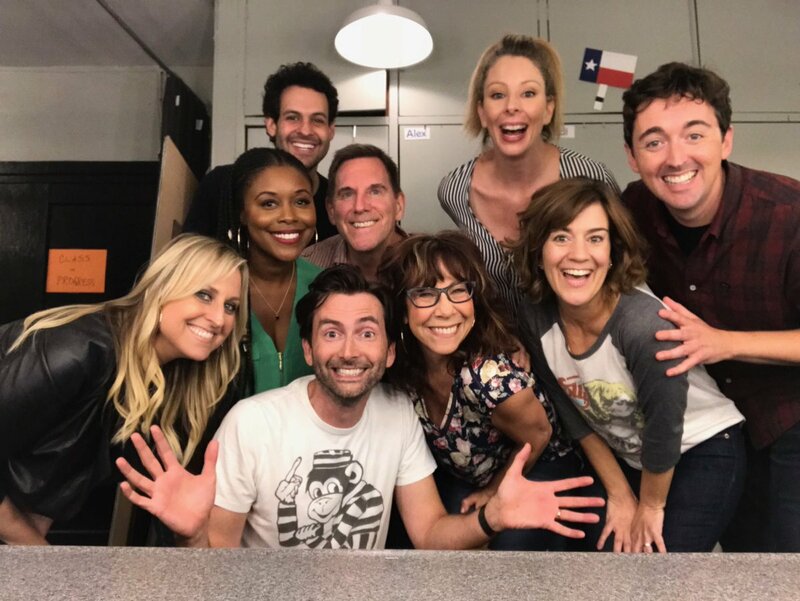 David Tennant was the star guest who will take part in an improv show on stage in Los Angeles on Thursday 30th August. The show was called the Cookin' With Gas and is described as 'all-improv explosion that has become almost as much of an institution as the Groundlings Theatre itself!' Each performance of the show has a different star in it. The show is based entirely on audience suggestions where the comics invent custom-made satire and song. Each week features a new special guest and at this show it was David Tennant. The Groundlings is an improvisation and sketch comedy theatre which has been entertaining LA audiences for over 40 years. They are a non-profit organisation which was founded in 1974. A 'Groundling' is one of the 30 company members who write and perform in the theatre’s shows and teach classes at the Groundling’s School. The Groundlings Theatre is located at 7307 Melrose Ave, Los Angeles, CA 90046 and the show starts at 8pm. It was about 1 hour 45 minutes in length (including an intermission). Although the show was sold out, a standby line was available 30 minutes before the start. As well as David, also on the show were Tim Bagley, Matt Cook, Sarah Cornell, Andrew Leeds, Lyric Lewis, Lisa Schurga and Mindy Sterling. Link to posts related to David Tennant at Cookin' With Gas on Blogger.com (usually with more details).